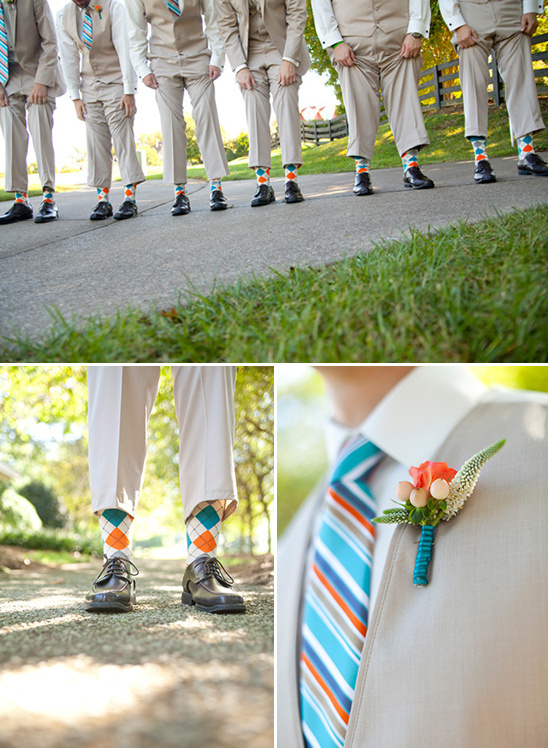 Jena and Trent were married surrounded by friends, family, lots of good food, and bright colors all held at The Governor's Club in Tennessee. 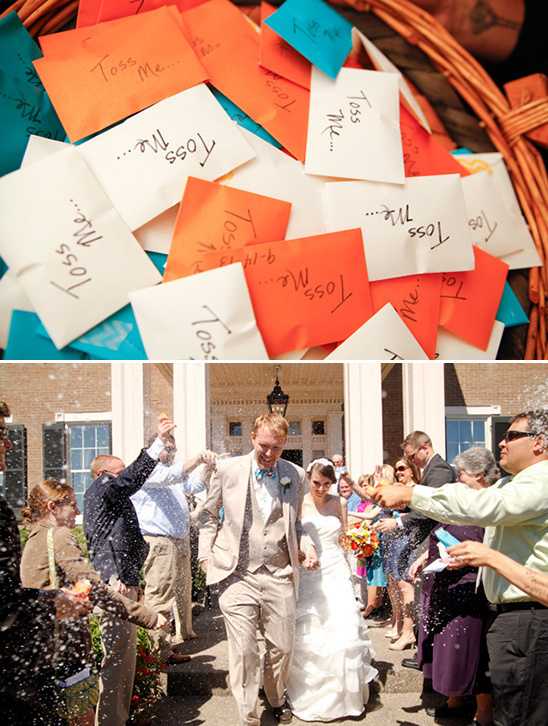 A carefree venue that made all their whimsical wedding could flow free. 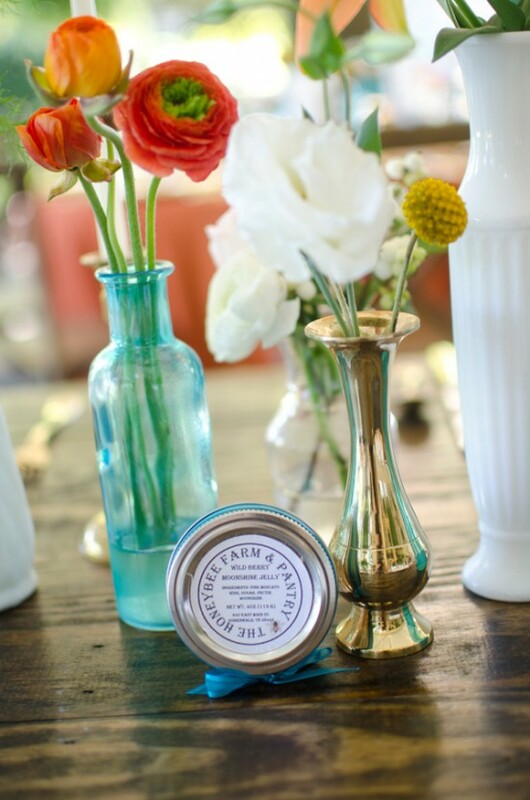 A stunning photo booth by Nashvegas Photobooths, moonshine jelly favors from The Honeybee Farm and Pantry, and our favorite aspect - an outdoor espresso bar from Beve Mobile Coffee maximized the fun for both the couple and their wonderful guests. 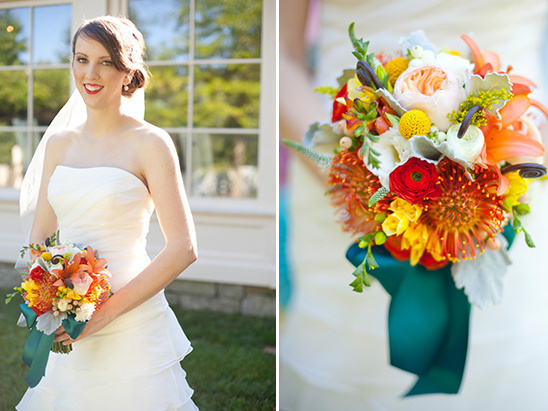 Keep reading for some advice from the lovely bride and see more of this colorful Tennessee wedding in the full gallery here, amazingly captured by Krista Lee Photography. 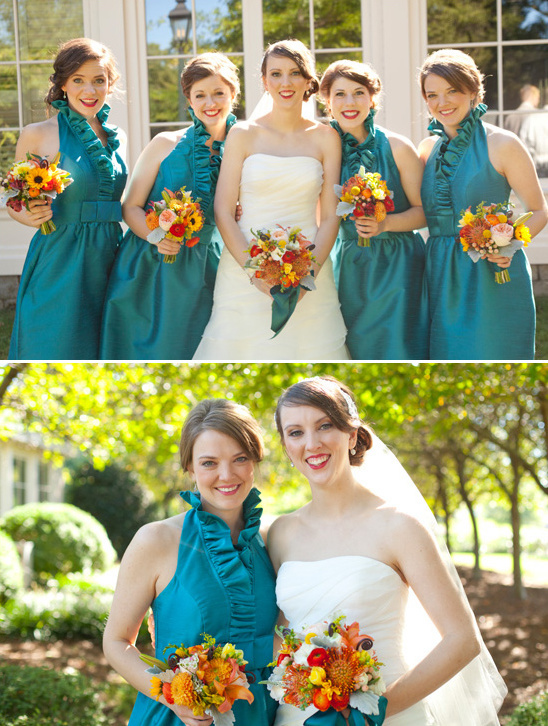 From the Kennedy Occasions:Planning my little sister's wedding was an incredible labor of love! As Maid of Honor, wedding planner, and floral designer, I had my hands full. Ribbon chandeliers, bold colors, beautiful blooms, and paper pinwheels were some of the highlights of this brunch DIY wedding! 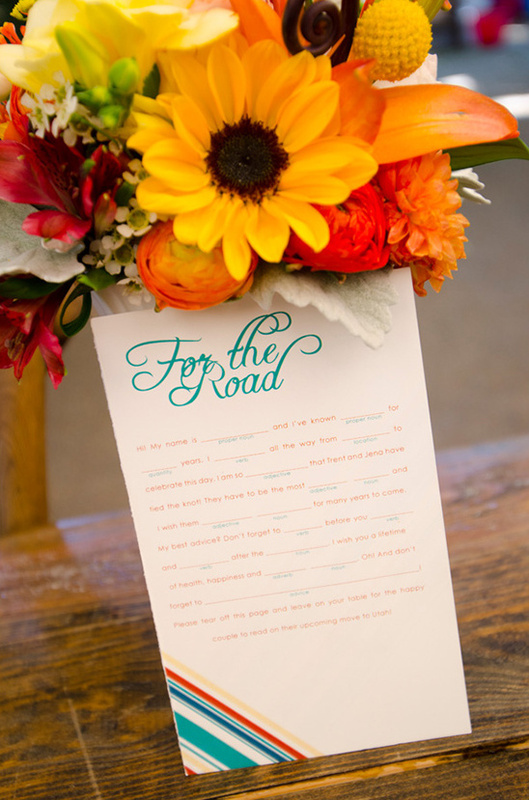 This sweet couple chose incredible vendors, unexpected extras and beautiful decor to entertain and wow their guests! 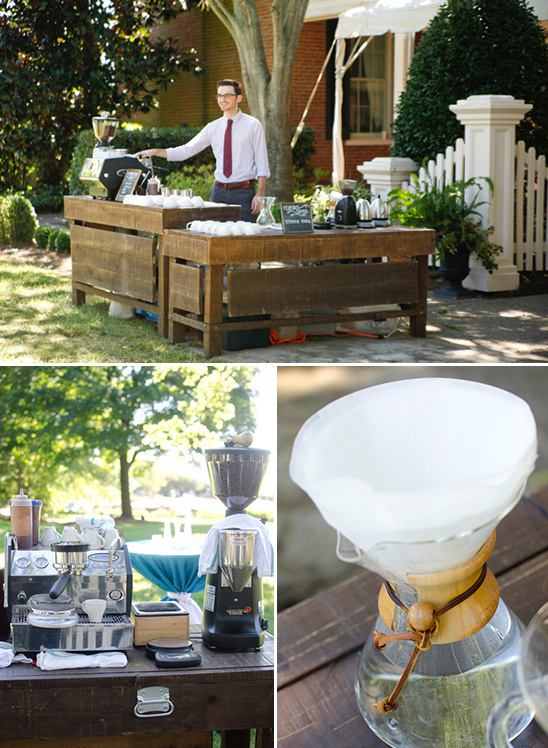 Beve Mobile Coffee, a mobile coffee service, set up an incredible coffee bar on the lawn so the guests could enjoy a bit of caffeine AND the lawn games! Although Trent is from Tennessee, he lives in Utah and the couple planned to move to Utah after the wedding. 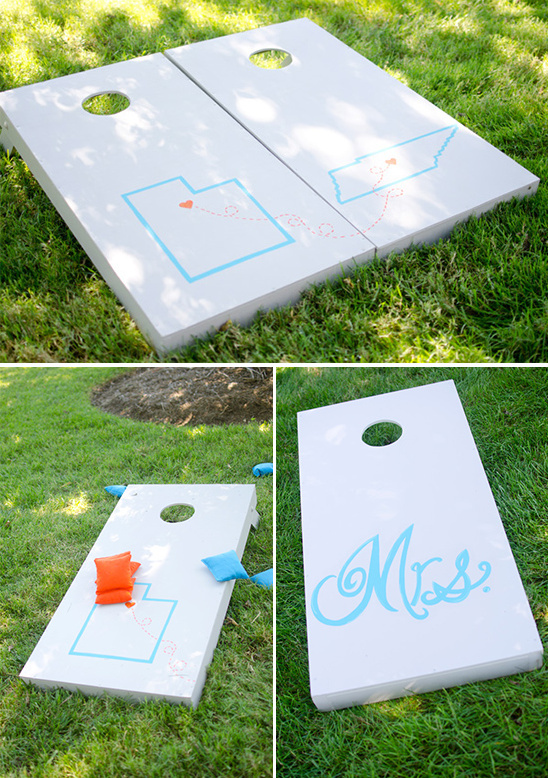 They incorporated their love for their home state with their excitement for new adventures in Utah and created custom corn hole boards for their big day. 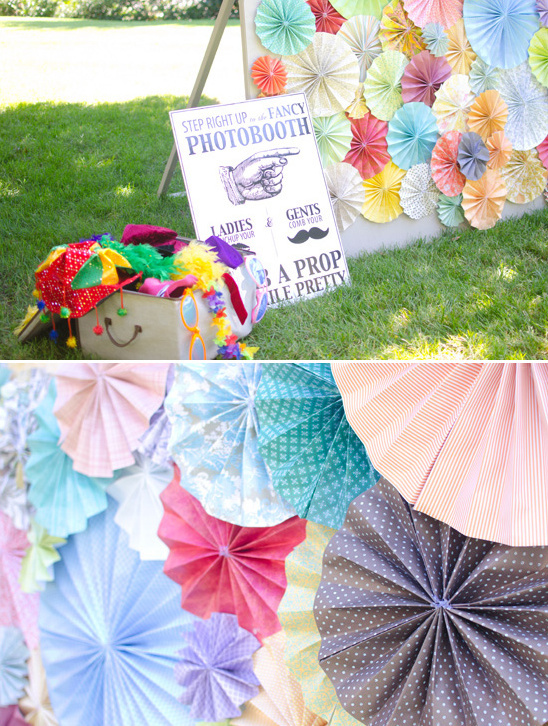 A custom paper pinwheel backdrop was created by the bride for the photobooth so guests could take home a memento of the day. 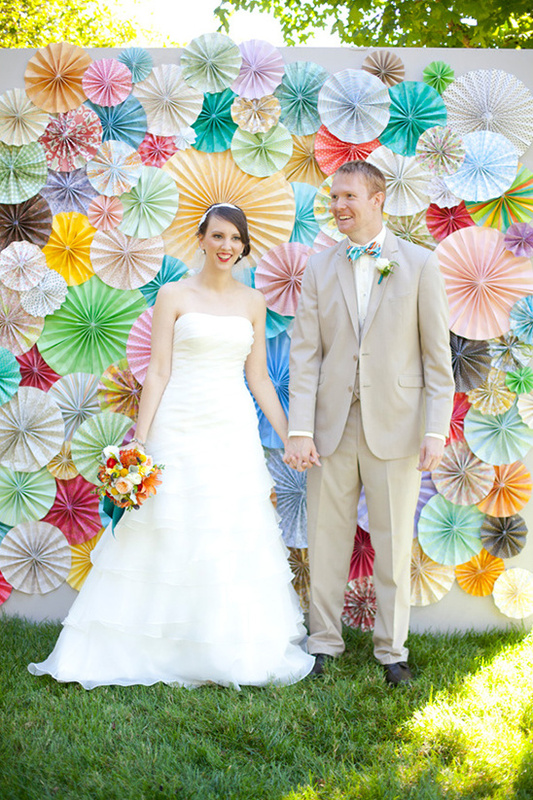 Yes ... you need to have your own pinwheel backdrop at your wedding! 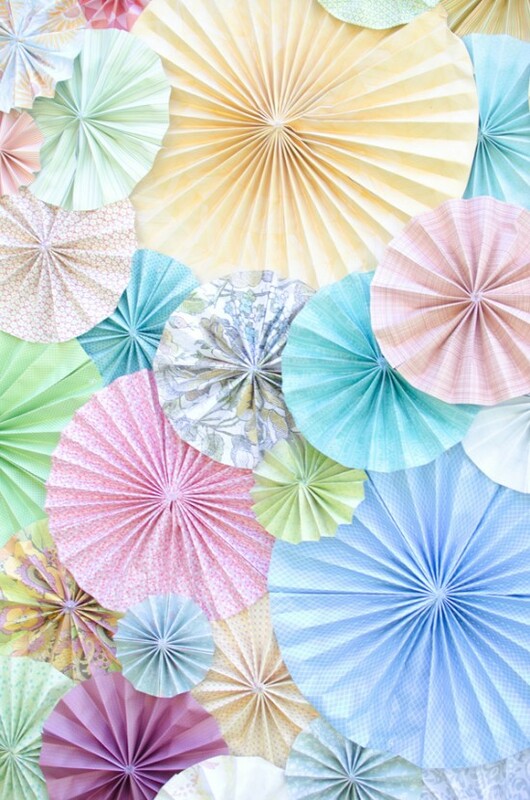 Click here for step by step instructions on how to make your own DIY pinwheel backdrop. 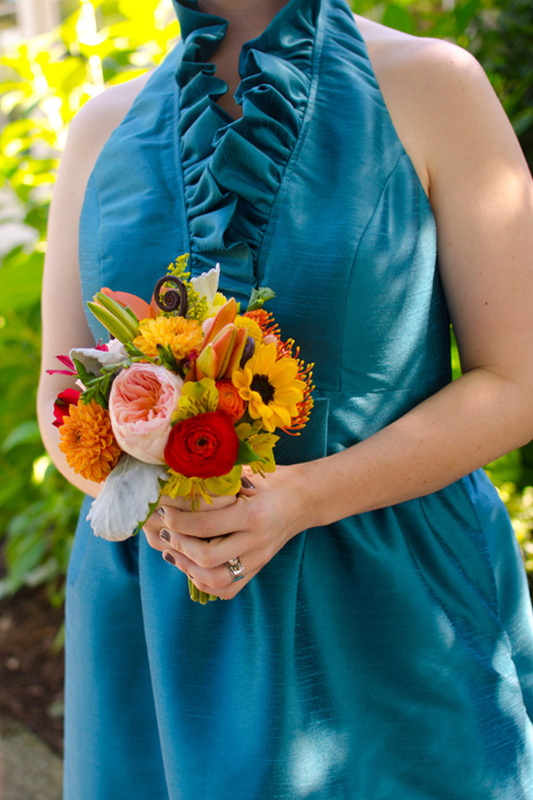 Deciding upon a brunch wedding was simple and once colors were selected, we were in business! As a self-proclaimed 'foodie', Jen was excited about the menu and the treats her guests would enjoy. 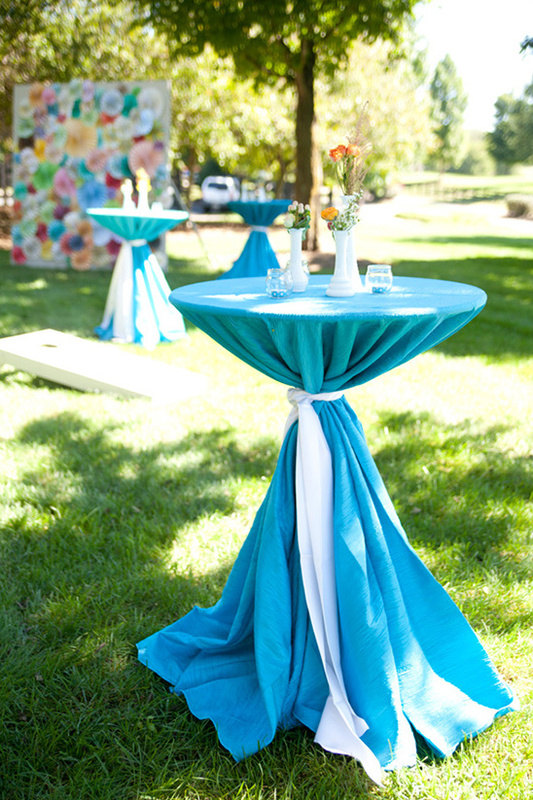 Under the tent, we hung ribbon chandeliers, hand-crafted by the bride to correspond with the wedding colors. 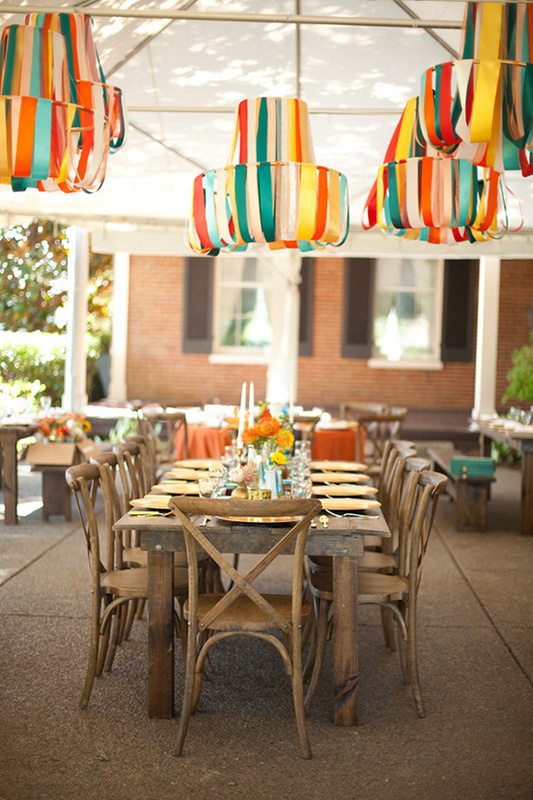 Textured orange linens draped round dining tables and were mixed with wooden farm tables and benches. 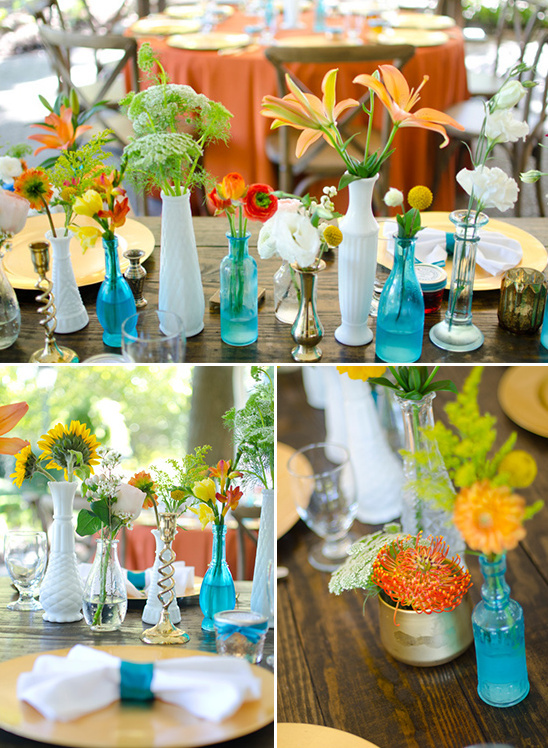 Trent, Jena and family members searched high and low for mismatched milk glass, clear vases, and brass pieces to create the colorful centerpieces. The most unexpected element of the day: Frederick. A plastic dinosaur. John, one of Trent's groomsmen, decided the wedding needed a mascot. What better mascot than a plastic dinosaur?! Frederick dressed with the boys, enjoyed cake, stole the rings and 'photobombed' a few formal shots! 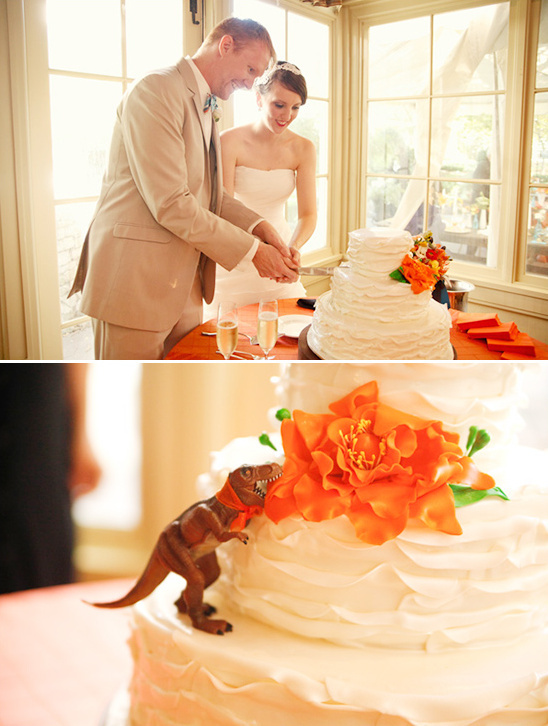 He was a huge hit and now enjoys life in Utah with the newlyweds!